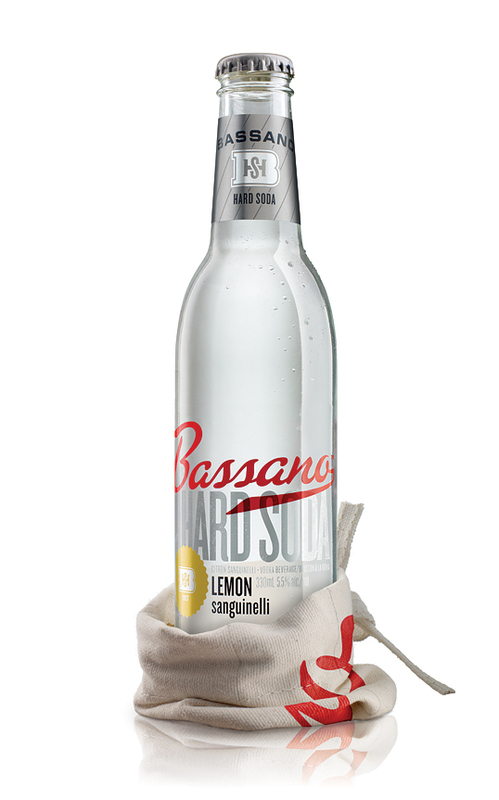 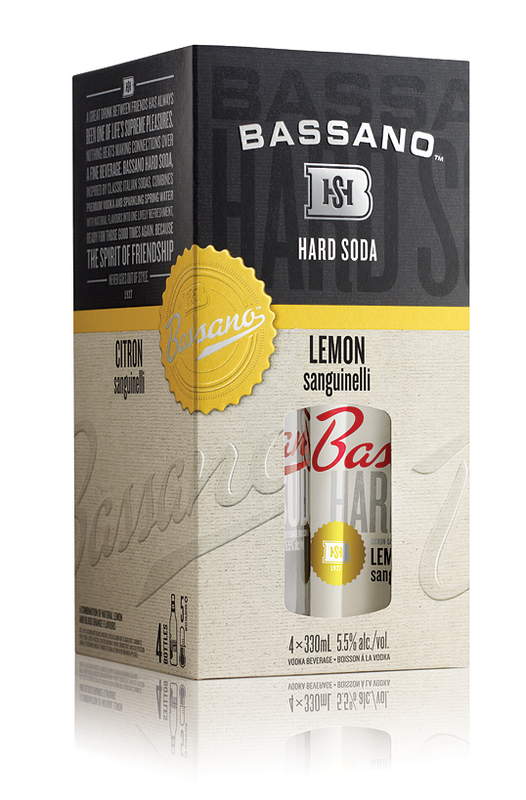 A new, vodka-based refreshment beverage inspired by classic Italian sodas of the 1920s, Bassano Hard Soda was developed to evoke the feel of Prohibition within a contemporary context. dossier created the name, proposition and look to communicate an integrated story that would be disruptive on shelf. 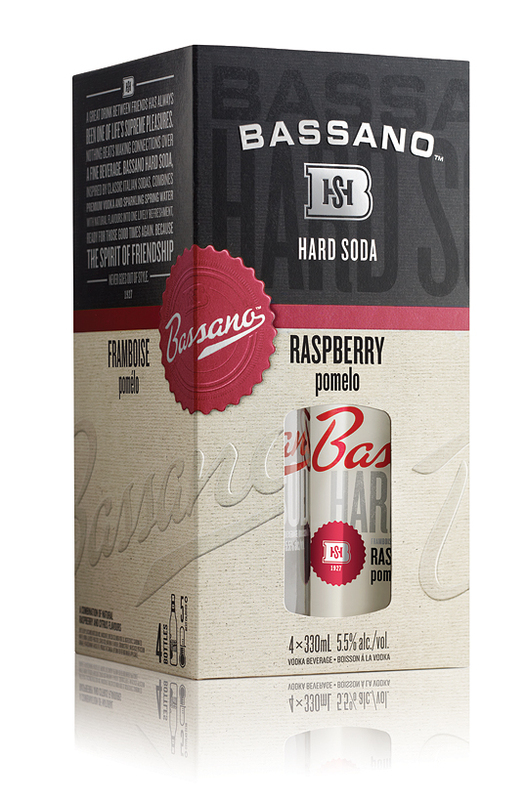 The identity pays homage to the classic script logotypes of the era, while the closed 4-pack has a small window to reveal the bottles, alluding to something illicit and underground. 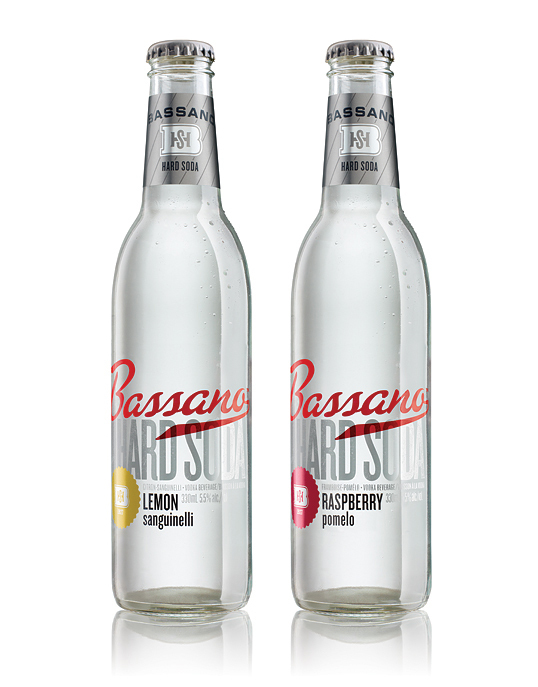 The brand launched with two flavours, Lemon Sanguinelli and Raspberry Pomelo, which have less sweetness and carbonation than typical for the category, making them more appealing to sophisticated palates. 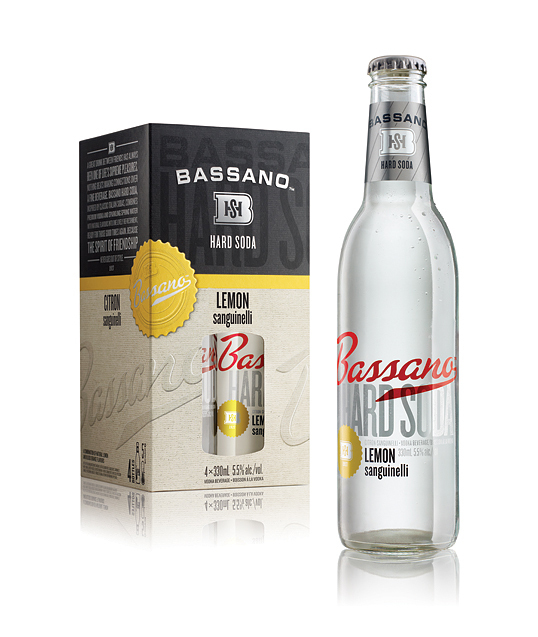 Good integration of classic Italian soda 20’s era mixed with modern clean package design ideology and use of colour identification.